We are delighted to announce that we have appointed a new co-editor of the Political Quarterly to replace Michael Jacobs. 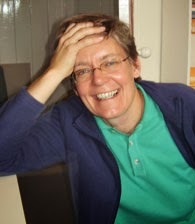 Deborah Mabbett is Professor of Public Policy, Department of Politics, Birkbeck and she writes and researches on a wide range of issues related to welfare and inequality, from macroeconomic policy to anti-discrimination policy. She teaches public policy and public management at Birkbeck and has a D.Phil in Economics from Oxford. Deborah will be the first woman co-editor of the journal.